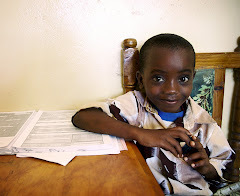 Welcome to the official blog of the American Foundation for Children with AIDS. Our mission is to help improve the lives of children with HIV/AIDS by providing cost-effective relief and services, medical and social support, as well as education and advocacy to help children living with aids in Africa to achieve their full life potential. You can visit our website (http://helpchildrenwithaids.org) to learn more about the work we do and how we meet our mission. Heya i'm for the primary time here. I found this board and I to find It really useful & it helped me out much. I hope to give something again and help others such as you aided me. happy to find numerous helpful info right here in the publish, we'd like work out extra strategies on this regard, thanks for sharing. . . . . .
Great site. Plenty of useful information here. I'm sending it to some friends ans also sharing in delicious. And naturally, thanks on your effort! visiting this web site and be updated with the newest news update posted here. It is the best time to make some plans for the future and it's time to be happy. I have read this post and if I could I want to suggest you some interesting things or tips. Perhaps you could write next articles referring to this article. I desire to read more things about it!